Las Vegas Casino is located in the Sofitel hotel in Budapest. 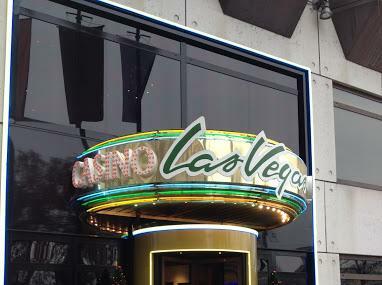 It is a recreation of the the casinos in Las Vegas and has all the main games that are found there. This recreational hub boasts of poker machines, punto banco, blackjack slots, roulette in addition to 65 other machines for you to choose from. The best part is that it is open for 24 hours and you can gamble away late into the wee hours of the night. Now you can find Las Vegas in the heart of Budapest! How popular is Las Vegas Casino? People normally club together Trinity Square and Csodák Palotája while planning their visit to Las Vegas Casino. Rude! My girlfriend and I walked in here after a romantic walk down the Danube, only to be stared up and down by girls behind the front desk and the security guard. I then tried to enter and they asked what country I was from before denying access to the premise because we didn't have our passports on us. Apparently bank cards and driving licenses are not valid forms of I.D in this establishment? I would avoid at all costs. Better than I expected but still room for improvement. Most of the staff is friendly and happy to help, but there's always one or two dealer who's seem to having a bad day. Some of the tables are 130% full while others (with other games) are completely empty and nobody cares to balance them. There's no loyality bonus at all, but at least the machines are renewing from time to time. There were good casinos in Budapest once. This is not one of them.